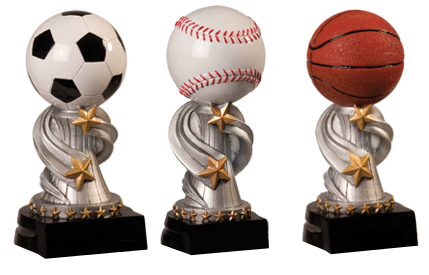 We carry a large selection and variety of sports trophies for teams and individuals. Free engraving and no hidden fees. Appreciate and Recognize. 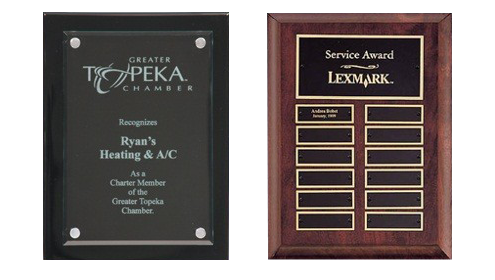 Huge selection of elegant plaque awards. Huge Selection of Elegant Glass Awards. Perfect for recognizing staff, executives and employees. Honor Those Who Protect our Country. 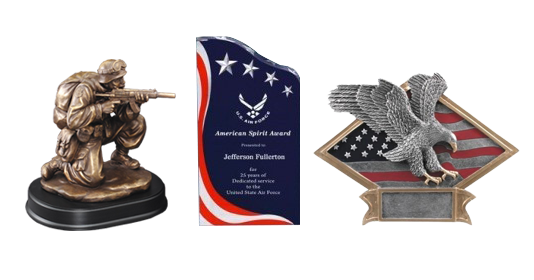 Our wide variety of Military awards will fit any occasion. Beautiful Acrylic Awards. Perfect for every occasion. Trophies and awards including baseball, soccer, football, hockey, bowling and more. 100% satisfaction guarantee and free customized engraving and logo placement. Industry’s premier retailer of star awards for over 30 years. 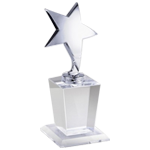 We offer a huge selection of star awards in a variety of shapes, sizes and colors. Free engraving and logo placement. We offer a wide selection of quality plaques including recognition plaques, custom plaques, wall plaques, photo plaques, sport plaques, perpetual plaques and more. A huge selection of beautiful glass awards in a variety of shapes, sizes and colors. A perfect way to recognize an achievement, while honoring and promoting excellence. 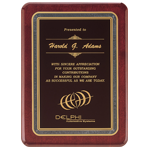 Gold Medallion Awards is your number one source for Trophies and Plaques. We have been serving clients in San Diego County and throughout the U.S. since 1976. 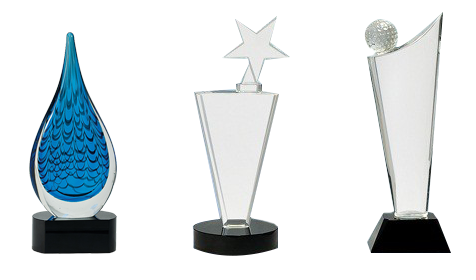 Whether you are looking for Employee recognition awards, Sports Trophies, Plaques, Corporate recognition awards, or Acrylic awards of appreciations, we are your number one source in San Diego County. When we opened our trophy store in San Diego more than 30 years ago, we had one thing in mind: to put smiles on our customer's face with beautifully hand crafted custom trophies and awards. And after serving thousands of customers, that hasn't changed. 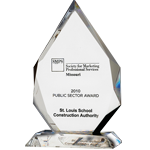 When you talk to our friendly customer service staff, you will appreciate the years of experience and knowledge to help you choose the best awards program for your needs and budget. 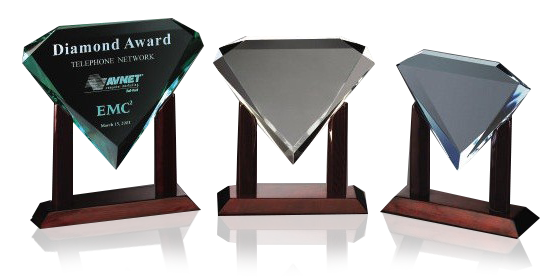 We take pride in making sure that your awards and trophies are professionally done and that you will be 100% satisfied. 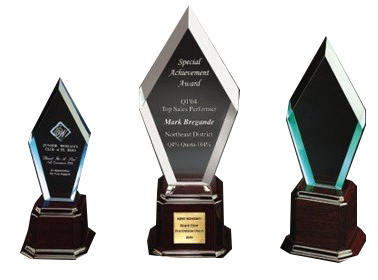 Most awards and trophies are produced in-house in our facility in San Diego. We use state of the art engraving technology to ensure that all awards and trophies are made to your satisfaction. Whether you need one or 100 trophies, plaques or awards, we have a fast turnaround time to make sure your award arrive in time. If you need faster delivery, be sure to ask us for our rush delivery service. Gold Medallion Awards offers a full range of incentive programs for Corporations and companies. If your corporation rewards employees with corporate awards such as welcome gifts for new employees, sales incentives, retirement packages, event celebration, product launches, commemorative gifts, open house, sales target celebrations, special meetings, exhibition give aways and gifts, Employee recognition, order celebrations, Anniversary, we are your best source for the right award program. 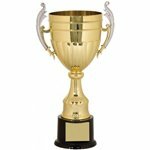 Give us a call and let us help you find the best award or trophy for your special occasion. We carry a huge collection of Acrylic Awards, Glass Awards, Corporate Awards, Plaque Awards and many more awards for organizations and companies such as Healthcare, Drug Companies, Real Estate Companies, Financial Institutions, Educational Institutions, Food industry, Music Industry, Sports, Golf Outings, Arms Industry, IT Industry, Aerospace Industry, Judicial Law, Art and Entertainment, Construction Industry, Retail Industry, Power and Water Industry. We also offer personalized Gifts for wedding, anniversaries, holidays, and many other occasions. Give us a call and let us help you find the best award or trophy for your special occasion.